This property currently zoned CM-2 has many possibilities for use. The property is called "THE BARN" at 5 Sebastian Ave and is currently an Airbnb. The property has been completely done from top to bottom !!! 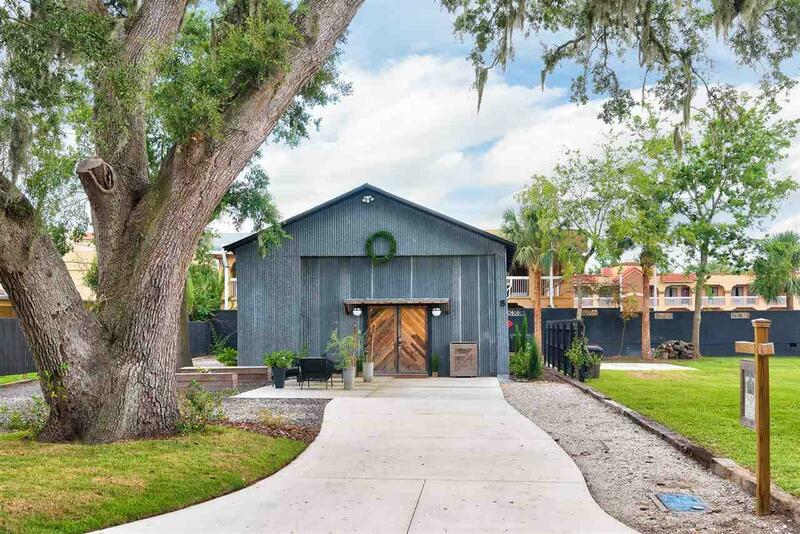 The former warehouse has been made into a beautiful new apt home (studio w/1 bed also with a loft and separate studio apt) - 2 bathrooms and located in the heart of the San Marco historic district. The building is on .16 acre and is 1,196 sq. ft. in size. It is open concept with a loft and a separate studio apt. with separate entrance. Would be great as a In-Law suite ! Lovely shiplap walls, high ceilings and new kitchen. Both bathrooms are brand new and beautifully done. Property is also being sold COMPLETELY FURNISHED ! 200 amp on building and a 50 amp for RV installed. Plenty of parking and outdoor seating with this property. Would be great as a restaurant, retail or multifamily! SELLER FINANCE AVAILABLE ON BOTH PROPERTIES !!! 7 Sebastian Ave.- vacant lots next door are also available 2 lots - 58 x 117 each. Lots and can be subdivided. Business Name The Barn At 5 Sebastian Ave.